Classics in Extremis reimagines classical reception. Its contributors explore some of the most remarkable, hard-fought and unsettling claims ever made on the ancient world: from the coal-mines of England to the paradoxes of Borges, from Victorian sexuality to the trenches of the First World War, from American public-school classrooms to contemporary right-wing politics. How does the reception of the ancient world change under impossible strain? Its protagonists are `marginal' figures who resisted that definition in the strongest terms. Contributors argue for a decentered model of classical reception: where the `marginal' shapes the `central' as much as vice versa - and where the most unlikely appropriations of antiquity often have the greatest impact. What kind of distortions does the model of `centre' and `margins' produce? How can `marginal' receptions be recovered most effectively? 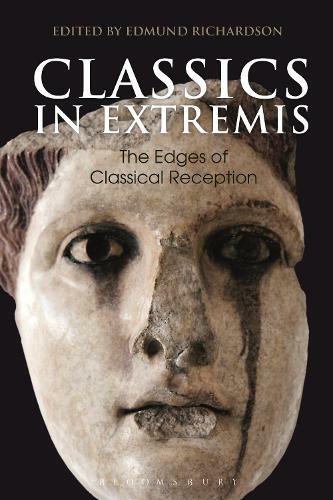 Bringing together some of the leading scholars in the field, Classics in Extremis moves beyond individual case studies to develop fresh methodologies and perspectives on the study of classical reception.